My good friend Sarah recently told me that one of the best decisions she made last year was to start saying no to things she didn't want to do. Not only that, but not giving a made up reason, just saying no. 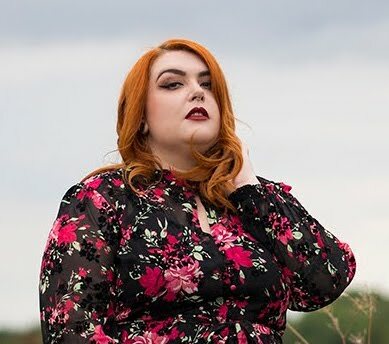 She's always been one of those lovely people that's just too nice to say no to anything which would occasionally lead her into what we affectionately named 'Sarah Situations'. I won't go into detail but lets just say her life would have been a lot easier had she just said no in the first place and forcing herself to do it is really working out for her and I want to take her lead and start doing it too. Don't get me wrong, I love doing stuff to help other people out and I'll continue to do so but if it's something I know is going to impact me negatively I'm definitely going to give it a big no no. 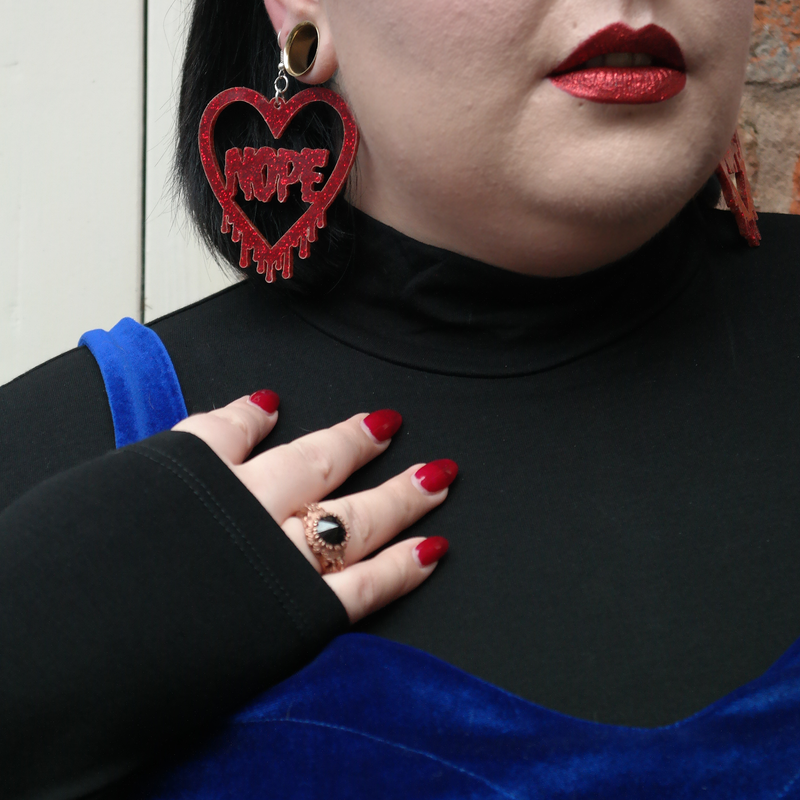 Anyway, this new inspiration seemed like the perfect excuse to crack out my awesome Glitter Nope Earrings by Black Heart Creatives (£11.50) which of course needed a super cute dress to set them off. 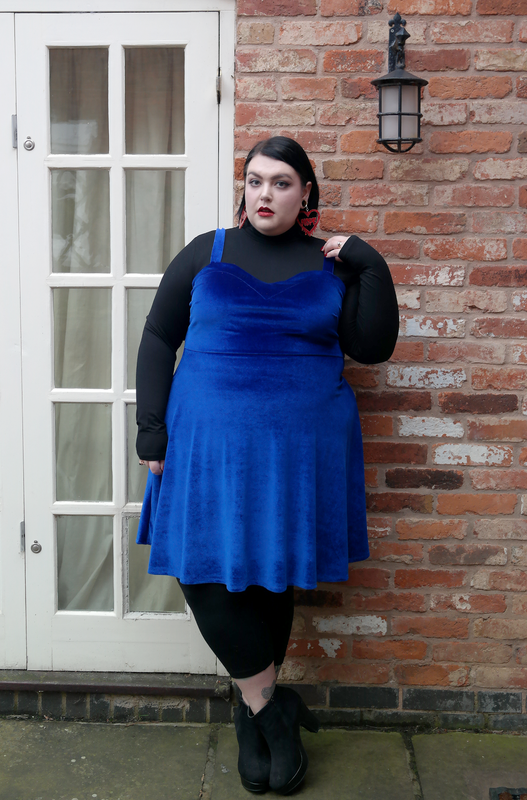 I'm a big fan of bold colour combos as we know and cobalt blue and true red is one of my favourites, so it was a no brainer that this lovely Kendra Strappy Velvet Dress by Pink Clove (£24.00*) was the perfect partner to my amazing earrings, along with some matching red glitter lipstick of course! 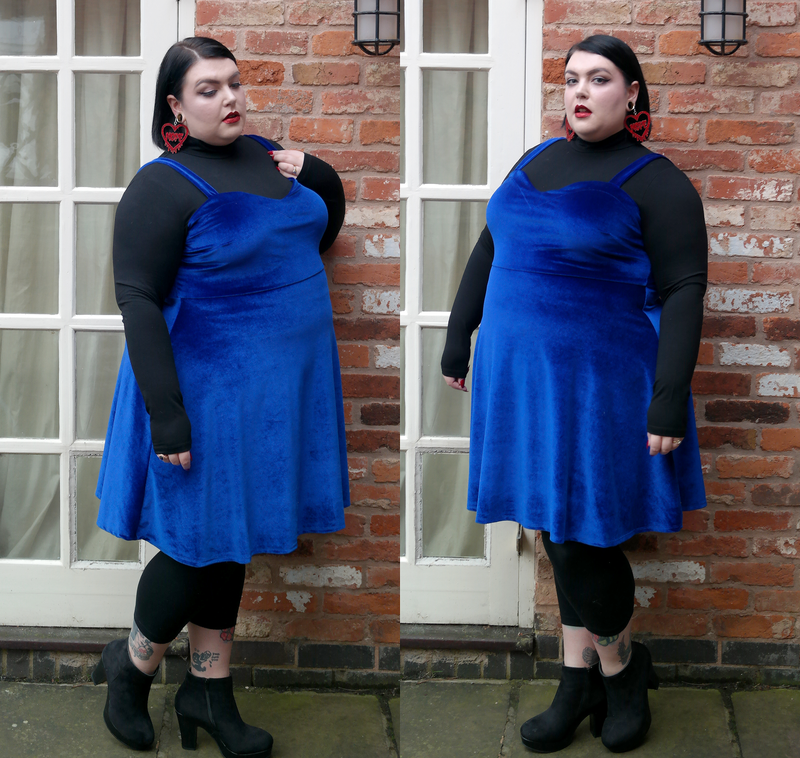 I really love the sweetheart neckline of this dress and the blue is so rich and gorgeous, I actually wore this on Christmas Day too. Like I said in my last post finding ways to wear a party dress in a day ensemble is a talent I'm trying to perfect this year and the easiest way with strappy dresses is to just throw a tight fit sweater under them. It pretty much always works, trust me.